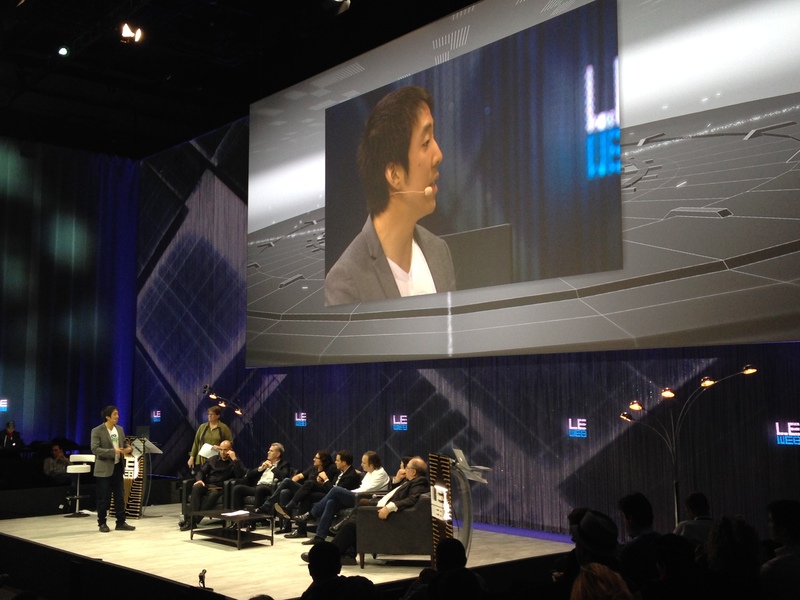 Well, it’s been ten years for LeWeb, one of the key events in the European tech startup calendar. And as usual they had a startup competition. Out of 16 selected semi-finalists in Paris, just three were selected to take the main stage of the conference and pitch to judges. To quality for the competition they had to have raised less than €1.5M (US$2M). The entrants had quite a European flavour this year, with a strong showing from Central and Eastern European countries. The winner of the competition was IntelClinic. Hailing from Poland, IntelClinic helps you gain more time by “lowering the amount of sleep you need to be refreshed and regenerated.” Previously, IntelClinic created NeuroOn, a sleep mask which monitored your brain waves, allowing you to switch from monophasic to polyphasic sleep – in theory meaning you sleep less and more efficiently. This is the way that Leonardo Da Vinci, Thomas Edison and other noted inventors often slept. Flinja, a US company, describes itself as “the Uber for Work“. Flinja (or “freelance ninja”) targets the college demographic which LinkedIn largely ignores. Flinja claims that over 50% of recent college grads are finding themselves under-employed or without work, and yet there are millions of jobs left unfilled. Flinja, which also offers a mobile app, is attempting to address this by providing a platform where students (its initial launch market) can gain skills and build relevant work experience completing paid projects while in school. Employers, in turn, have quick, easy access to local and national talent they can test out before hiring. From the UK, SocialSafe is, well, a ‘social safe’ which locks up all your social accounts and keeps a record of what you do on social networks, independent of those networks. It downloads and keeps a complete record of everything, aggregating it together in one place. It then organises all your social media data, giving you access to libraries displaying your information, providing a full calendar and journal, enabling search across all data and other usage stats too. The data is stored privately in a users’ own local personal data stores, making it fully compliant with the major social networks’ Terms of Service regarding data storage by third-parties.